Altogether, Outlander revolves around the life and time voyages of Claire Beauchamp Randall Fraser, a nurse in the 20th century who moves to the 18th century. The show is developed by Ronald D. Moore and is acted with both English and Scottish Gaelic languages. As it has been a successful series, it is not surprising that fans are already asking for Outlander Season 5 while the 4th is still well underway. Anyway, here’s the good news – the filming of Outlander Season 5 might continue in Scotland, Prague, England, and Cape Town. If you can’t wait, here’s your treat! Outlander is a television series which beautifully combines the genres of historical fiction, science fiction, drama, romance, fantasy, and adventure as one. It is based on the book series of an American professor and novelist, Diana Gabaldon. The first novel was published in 1991 as Cross Stitch (in the UK, Australia, and New Zealand) but changed to Outlander (in the US). Book two and three, Dragonfly in Amber and Voyager followed in 1992 and 1993 respectively. The ninth installment, Go Tell the Bees That I Am Gone is forthcoming. Claire was a Nurse in the WWII and wife to Frank Randall until she travels back to the 18th century and has to marry Jamie Fraser (a Highlander). This came about as she joined the rebel Scottish group running from Frank’s redcoat ancestor, Captain Jonathan and his group. She soon falls in love with Fraser but has to deal with warning the Scottish Highlander clan about the Jacobite cause which she already knows will fail. When Randall finally captures Jamie, Claire rescues him and they sail to Paris. While at Paris, Claire got pregnant but loses the child. She also ensures Frank’s existence by preventing Jamie from killing Randall until he marries. With a second pregnancy, Claire leaves Jamie for the 20th century after he asks her to. She births a daughter named Brianna, Frank dies 20 years after and Claire seeks to return to Jamie whom she somehow learns is still alive. Jamie kills Randall in the battle of Culloden while Frank helps in raising his daughter in the future before his own death by accident. By the time of Claire’s return, Jamie has a son and is married but this ends. Season 4 sees Brianna, Jamie and Claire’s love child rejecting a marriage proposal and traveling through time in a bid to save her parents from dying. The 5th season of this series is based on Diana’s fifth book titled The Fiery Cross which was published on 6th November 2001. If you don’t want to know what to expect in Outlander Season 5, please look away now; otherwise, welcome to the ride. With the deaths of Frank and Randall, it is quite safe to say we are done with two but who knows? Tobias Menzies, who plays both characters might very well pop in again. However, without any iota of doubt, main characters like Caitriona Balfe and Sam Heughan are going to have lots of scenes to portray. Caitriona is an Irish actress with a previous 10-year modeling career. She worked for brands like Victoria’s Secret, Dolce & Gabbana, H & M, Oscar de la Renta, Roberto Cavalli, Chanel, Louis Vuitton, Givenchy, and Bottega Veneta. Lady Balfe has always had a passion for acting and the modeling was like a long in-between act for her. She speaks the English and Irish languages fluently and is able to make conversations in French. When she turned fully to her acting, she relocated to Los Angeles from New York. Some of her works include Now You See Me, The Beauty Inside, Money Monster, and Outlanders. She plays the role of Claire Fraser and has won numerous awards for her outstanding performance amidst several other nominations. In Outlander Season 5, Claire will face challenges in her quest to being the best medical doctor of the 18th century, including trying to produce her own stock of penicillin. This ends up saving Jamie who is bitten by a snake, preventing her from being a widow twice. 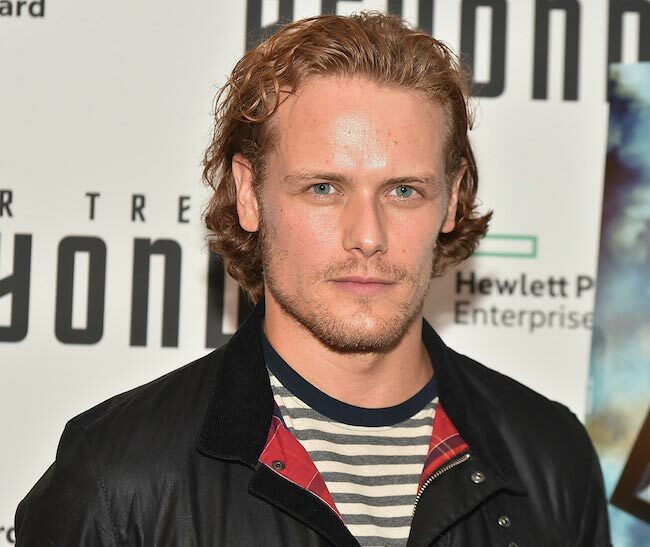 Sam was born to be Jamie Fraser, he plays the role so well that he has been nominated several times for awards like the Critics’ Choice and Saturn Awards. The actor was born in Scotland, attended the Royal Scottish Academy of Music and Drama, and has been an actor since 2001. As a student, Sam acted in stage plays. Over the years, he has made appearances in TV series and movies. In 2014, he won the TV Guide Awards for Favorite Duo (with Caitriona Balfe). That wasn’t enough, so he bagged the Ewwy Awards for Best Actor in a Drama Series, and then the Gold Derby TV Awards for Drama Lead Actor; this was in 2015. He has also won the Anglophile Channel Awards for Favorite British Artist of the Year and Best Actor in a Television Series. In 2017, he picked up the People’s Choice Awards for Favorite Sci-Fi/ Fantasy TV Actor. We will see Jamie in Outlander Season 5 making whiskey of which most will go into attempting to save Roger when he is captured. He attempts so much in keeping his family safe and in building a somewhat peaceful life on the Fraser Ridge. But then, judging by Diana’s fifth book, the brewing American Revolution will shatter the dreams for a peaceful life, exposing Jamie and everyone to more adventure and challenges. Sophie was raised in her birthplace, Woodford, Greater Manchester in England. She took to dancing at age 3, moved on to ballet, and then, musical theatre and stage play. Her debut TV appearance was DCI Banks (2012) as Becca Smith, a schoolgirl. She has also acted on Doctors, So Awkward, and Casualty. Sophie portrays Brianna Randall in the Outlander series and does a good job of it. After traveling back in time to save her parents when she discovers a document detailing their tragic death, she is raped, gets pregnant and delivers a child. Bree is still a big part of the story so you can expect more of her in the 5th season. Richard is a 6-foot tall Scottish actor with handsome facial features. He attended the Langside College in his birthplace, Glasglow, Scotland. His father was a police officer and his mother was involved in hoteling. His initial interest lay in Information Technology and he was already pursuing that in Glasglow Caledonian University before switching to acting. This came about when a local filmmaker convinced him that he had “the acting look” and informed his move to Langside College with Colin Harris, his brother. His professional career took off in 2006 and it has been a busy career for the dashing actor since then. Richard acts as Brianna’s lover, Roger Wakefield in Outlander. In season 5, he is likely to make a lot of appearances; it is expected that he’d be captured by the Mohawks. Governor Tyron will go on to hang him as Jamie and Claire’s attempt to save him will be over an hour late. He may die or not, we really can’t say. Other expected casts of Outlander Season 5 include Cesar Domboy (as Fergus), John Bell (as Ian Fraser Murray) and Lauren Lyle (as Marsali MacKimmie Fraser). We aren’t really sure if Ed Speelers who portrays the infamous Stephen Bonnet will make it back. It is however almost certain that several new faces will be popped into the show in this season. There are plenty of spaces to fill if the novel is to be taken seriously. We already know that although the TV series does not follow the novel series scene for scene, major events are left in place. It is on this basis that we are able to make our predictions. The production of this series kicked off in Scotland, sometime in October 2013. Audiences were thrilled and delighted when the premiere came forth on 9th of August in the following year. Due to its wide acceptance, it was renewed for a second run 6 days after its premiere and then a third and fourth on 1st June 2016. Interestingly, an announcement was made regarding the production of two more seasons, 5 and 6 on the 9th of May 2018. With season 4 still well underway (to end on 27th January 2019), Outlander Season 5 is expected sometime in autumn of 2019. The season is expected to have 12 episodes like the previous three. Of course, you can’t expect us to give details of what each episode would contain. All we can say is that it will hopefully, keep viewers wanting more. Starz will be your go-to TV network to catch this season just like all others, that’s if you are in the US. The app is also available for a monthly subscription of $8.99 or $89.99 annually. Amazon Channels and Hulu will most likely also stream the show for same $8.99 monthly. If you will love to play catch up before season 5, Amazon has got your back for $2.99 per episode or $8.99 monthly fee. iTunes is also there for as little as $3.99 for each episode. In the meantime, have a lovely viewing of Outlander Season 4. Steph McGovern Bio, Partner, Is She Gay, Lesbian or Married, Who is The Boyfriend? Is David Bromstad Married or in a Gay Relationship, Who is His Partner?